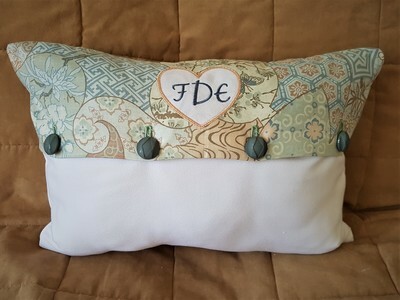 Finally got around to make this for a friends daughter, she gave me the colors and worked with what I had. Didn't have enough fabric to due the back all white so used the same fabric that I had used for the applique birds and hears. I now have a new respect for fabric that multi patterns. Thanks for looking! Yes, multi-pattern fabric can be tricky, but you really mastered it. I just love these owls, Your thread choices really complement the fabric. 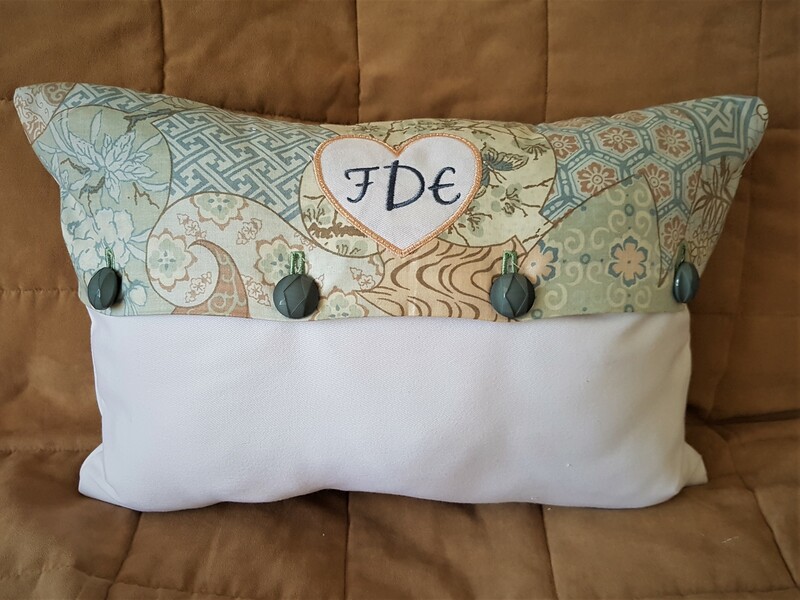 I love this little pillow! Fantastic! Love how you put it altogether and the back is perfect! Great work! 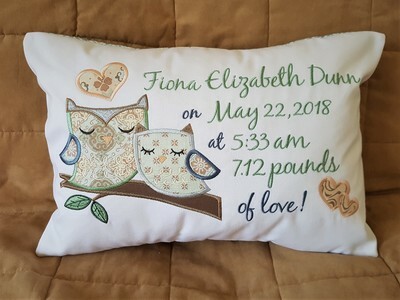 I love the birth stats on the pillow, a perfect gift! Beautiful, I like the 2 fabrics on the back, 2 gifts in one! Great save and would not have thought about it other then it looked wonderful if you had not mentioned it. Wow looks great. I think it looks perfect the way you have done it.